Situated in Olhão, this villa features a barbecue. The property is 8 km from Culatra Island and free private parking is offered. Free WiFi is provided . There is a seating area, a dining area and a kitchen. Located in Olhão, this air-conditioned holiday home features free WiFi and a terrace. It provides free private parking. A microwave, a toaster and a refrigerator can be found in the kitchen and there is a private bathroom. Apartamento Liguria is located 5 km from the centre of Olhão. The property is 6.9 km from Culatra Island. Accommodation will provide guests with a TV, air conditioning and a balcony. It includes a double bedroom and a sofa bed in the living room. The small and quiet Roaz de Bandeira House is located in the centre of Olhão, 5 minutes' walking from the train station, bus, shopping centre and supermarket. 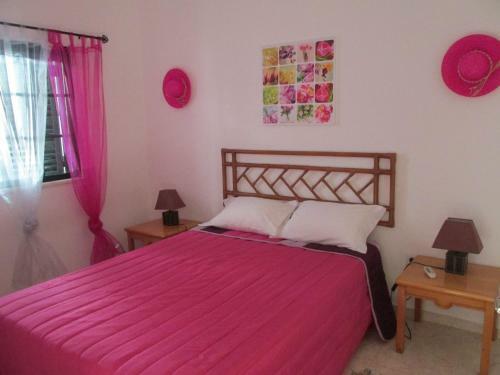 Rooms are private or shared and include free WiFi access.